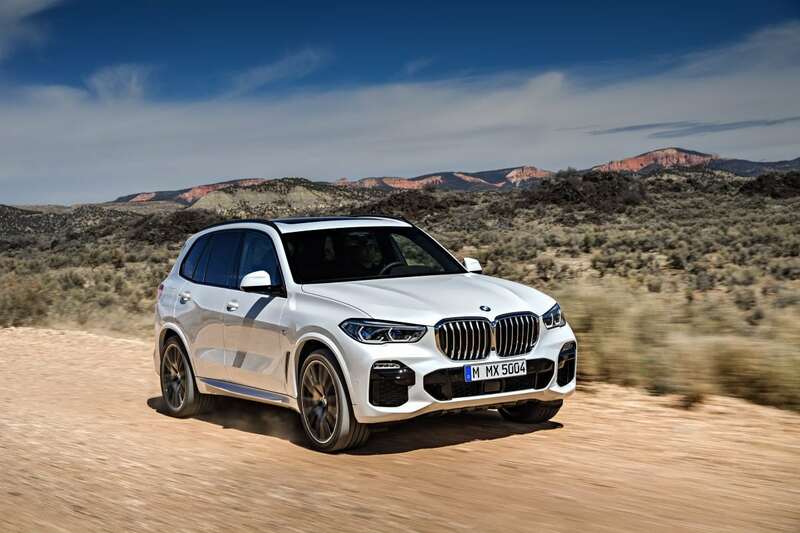 Following the market launch of the first BMW X2, and the new BMW X4, a new edition of the BMW X5 has been launched for the ‘year of the BMW X model’. The all-new fourth generation BMW X5 is longer, taller, wider and impresses with its wealth of innovations. It re-equips to continue fighting large rival SUV’s to the likes of the Audi Q7 and Volvo XC90. The new X5 builds on the success of the previously sold 2.2 million units, since its debut in 2000. The new X5 takes on a mild styling evolution. Most significant changes can be noticed at the front with its massive kidney grilles and active flaps that improve aerodynamic efficiency. The headlights have optional laser technology which is able to light 500 metres ahead on full beam. On the rear end is a split tailgate that grants access to a 640-litre boot. However, the boot space dropped 10 litres in size. This also affects the 1,860-litre volume you would’ve got with the seats folded. Nonetheless, BMW has assured that the third row has benefitted from this and is roomier than before. The third row seats two passengers. Distinctive interior and exterior design features mark out the xLine and M Sport model variants of the new X5. And for the first time for a BMW model, the new X5 will have an option of being fitted with 22-inch light-alloy wheels. The new BMW X5 will also be available from launch with model-specific options from BMW Individual. In the cabin, specifically the front, it gets a very modernised facelift. The German automaker headed for a more minimalist look, which comes partly because of the latest iteration of the iDrive infotainment system. The enhanced system displays controls on a 12.3-inch screen and is accessible through a vast array of functions. These include click wheel, touch, voice and gesture command control. There is also a second 12.3-inch screen with customisable digital dials. 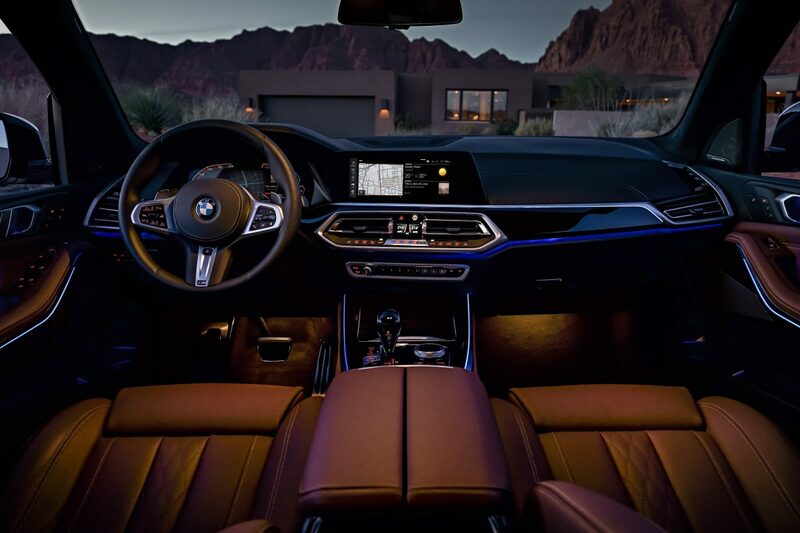 These screens are accompanied by BMW’s largest-ever head-up display. Other new features to maximise comfort in the BMW X5 include multifunction seats, cooled/heated cup holders, a Panorama glass roof Sky Lounge, Dynamic Interior Light, the Bowers & Wilkins Diamond Surround Sound System (expected to be available from 12/2018), the Rear-seat entertainment Professional system with 10.2-inch touchscreen display (expected to be available from 12/2018) and glass applications for selected controls. A choice between three six-cylinder in-line engines and a new V8 engine appears in the BMW X5 xDrive50i (market depending). These are accompanied along by a host of new chassis systems making its debut in a BMW X model. Such systems include two axle air suspension, Integral Active Steering and the Off-Road package. These systems enhance the vehicle’s versatility, dynamic ability and furthermore, its comfort levels. A quartet of turbochargers allowsthe six-cylinder in-line diesel engine, fitted in the new BMW X5 M50d, to produce a maximum output of 294 kW/400 hp, and peak torque of 760 Nm. 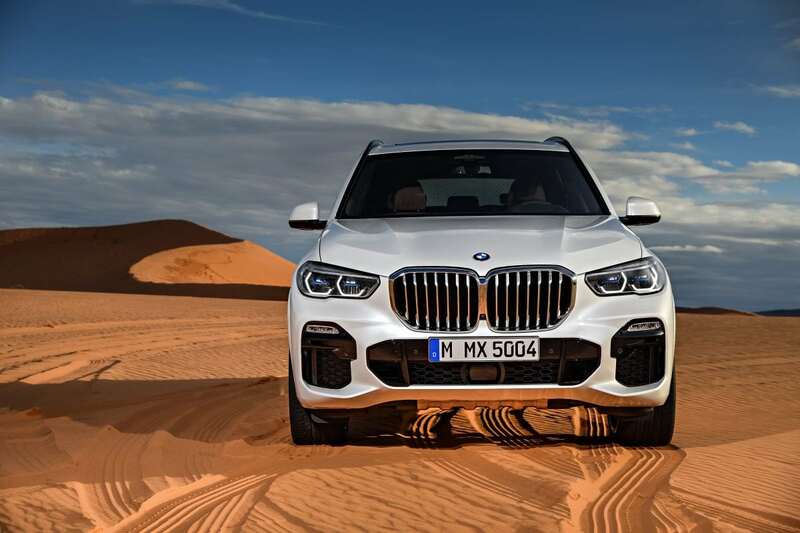 The newly developed eight-cylinder unit under the bonnet of the BMW X5 xDrive50i will deliver a maximum output of 340 kW/462 hp and peak torque of 650 Nm. 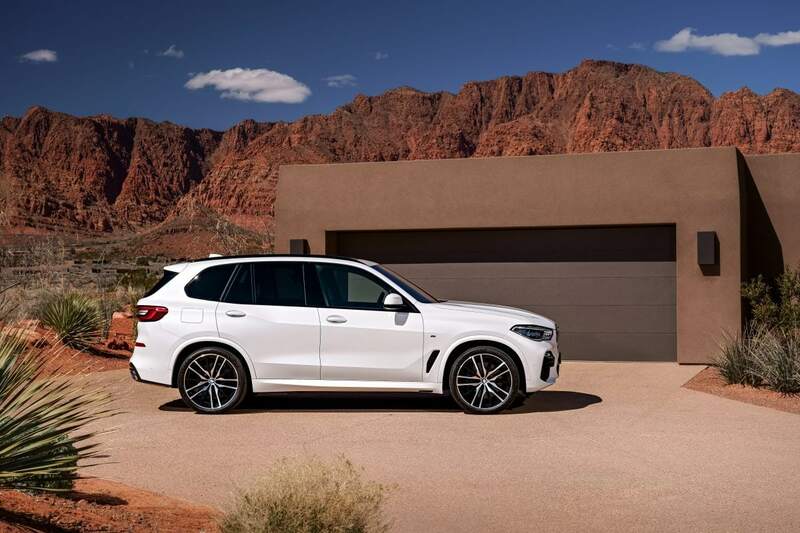 Next, the new BMW X5 xDrive40i is powered by a six-cylinder in-line petrol engine that develops a maximum of 250 kW/340 hp and peak torque of 450 Nm. Lastly, the BMW X5 xDrive30d also comes with a six-cylinder in-line diesel engine and develops 195 kW/265 hp and peak torque of 620 Nm. The X5 also gets a significantly expanded suite of driver assistance systems. These include the Driving Assistant Professional and Parking Assistant Plus with Reversing Assistant. In addition, the new BMW X5 hosts the unveiling of the BMW Live Cockpit Professional (fitted as standard). This allows the display and control system to be geared even more precisely to the individual driver’s needs. Much like its predecessors, the X5 will be built at the BMW Plant Spartanburg in the US. Its worldwide market launch will begin in November 2018.